All CTA parking structure entrances are clearly marked with vertical clearances. Parking Structures 1, 2A, 3, 4, 6 and 7 have a maximum vehicle height restriction of 8 feet, 2 inches. Parking Structures 2B and 5 have a maximum vehicle height restriction of 7 feet. Vehicles exceeding the maximum vehicle height restrictions in the CTA parking structures should use Parking Lot C. Questions? 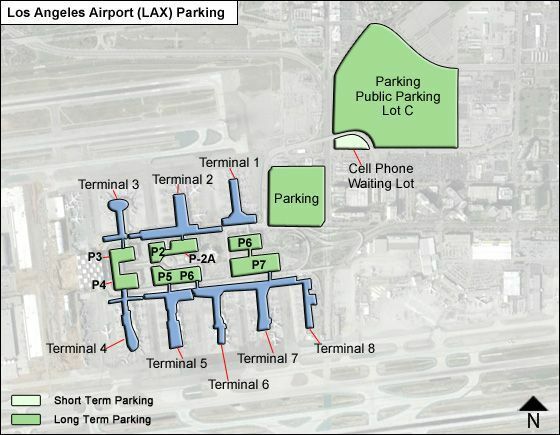 Parking Management for Central Terminal Area Parking may be reached via email at [email protected] or call (424) 646-7275.
where do I park for easy access to the United Baggage Claim?